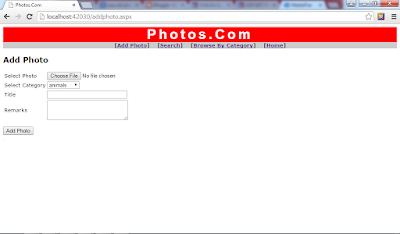 This website allows users to upload photos, which can be searched and downloaded by others. Download photos.com.rar and unzip it into any directory in your system. 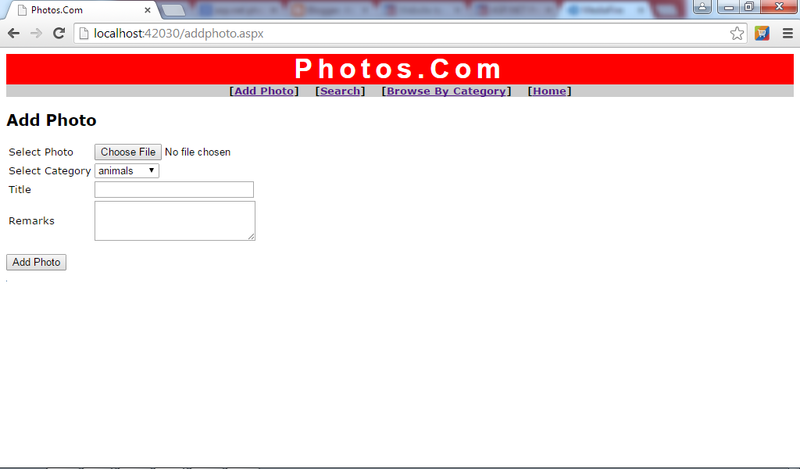 For example, if you extract to c:\ then it will create a directoryc:\photos.com. This website has a local database with required tables. So no need to create tables elsewhere.